Navicat Premium 12.1.9 – Combines all Navicat versions in an ultimate version. Next story Pixelmator 3.7.4 – Powerful layer-based image editor. Previous story JixiPix Pop Dot Comics 2.11 – Create a comic with colored halftones and speech bubbles. 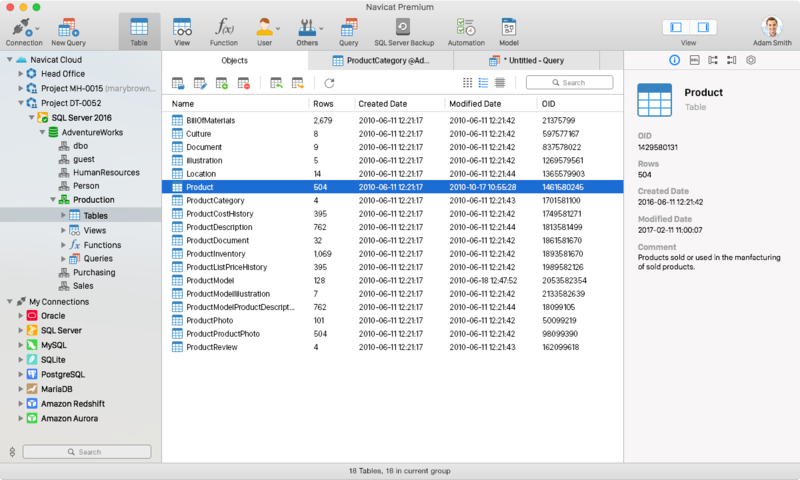 Navicat Premium Essentials 12.0.28 – Provides graphical frontend for many popular databases. Navicat Premium 12.0.5 – Combines all Navicat versions in an ultimate version.